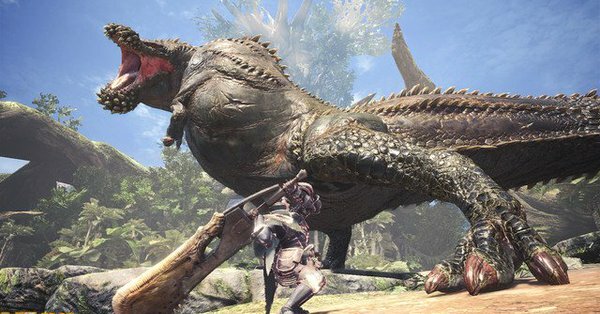 Deviljho was the first free DLC monster in Monster Hunter World, and will be able to hunt from the start for PC players. Deviljho is a large brute wyvern that, like Anjanath, shares more than a passing resemblance to a tyrannosaurus rex – or a pickle, depending on who you ask. To fight Deviljho, you need to have progressed past a certain point in the game. So if you’ve not faced Zora Magdaros for the second time, be aware that this guide will contain spoilers for upcoming areas. All that you have to do to unlock Deviljho is download the new patch – which is about 600mb on PS4 – and travel on an expedition to the Elder Recess. What you’re looking for is a dark, unnamed monster “?? ?” in the list when you hover over the location. It doesn’t always appear first time, so you might have to jump into an Expedition, leave straight away, then look on the map again until you find him. Deviljho is a nomadic monster that can appear in pretty much every area of the game, so while we’ve found him most often in the Elder Recess, he could pop up in elsewhere too. Once he’s been defeated in an Expedition, Deviljho can appear in every high rank locale, as well as six and seven star optional quests. Capcom confirmed Deviljho’s release date in Famitsu Magazine over in Japan, saying that the in-game update will add Deviljho encounters, fights and drops to the game. New Event Quests for the next month and a half, including a Poogie Costume, a new weapon and the Mega Man Palico costume collaboration. One of the best things about Monster Hunter World is that with every new monster, there are new weapons and armor to craft – Deviljho is no exception. Deviljho’s weapons look to be powerful end-game equipment, boasting strong dragon elemental damage along with high Elderseal. The only other weapons we’ve seen with high Elderseal so far have been the Nergigante series. They do have quite hefty negative affinity though, but you can always reduce that with Augmentation. This means that as a full set, Deviljho’s armor is great for increasing the sharpness of your weapon with Handicraft, while giving you a greater chance of knocking off monster parts with Part Breaker. The full beta set loses Handicraft, but still has Speed Eating 3, Latent Power 3 and one level of Part Breaker. From the scenery in the first trailer, and how it’s chowing down on a poor, poor Great Jagras, we can assume that Deviljho will come to the Ancient Forest at some point. Typically Deviljho roams around the various maps and zones of Monster Hunter games, eating and wrecking even higher-end monsters with ease. Expect it to show up in high rank across a variety of maps. This sets up all sorts of interesting opportunities for turf wars with high-end monsters. 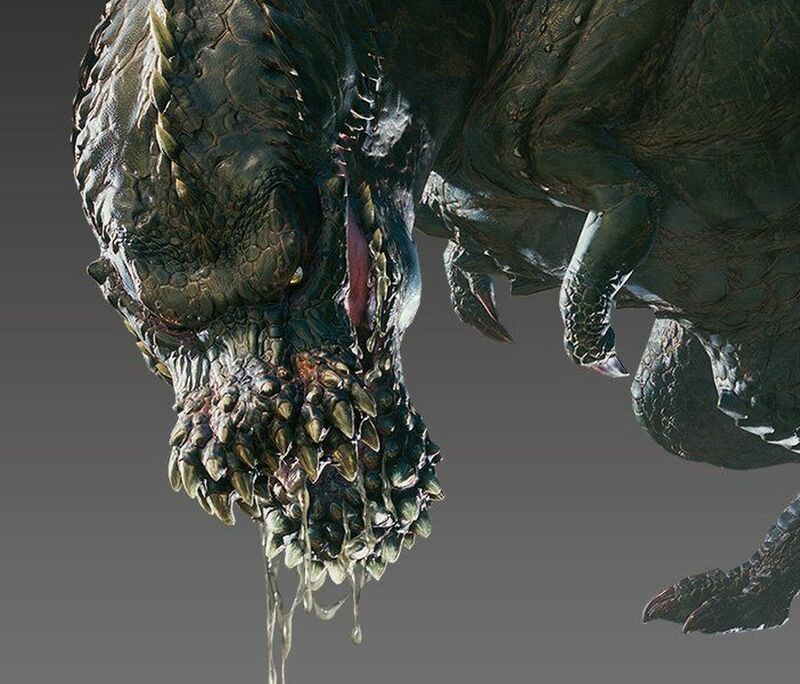 We don’t know exactly where Deviljho will sit in the hierarchy of monsters in terms of power level, but we can speculate that it’ll probably be quite tough to take down based on Deviljho’s past appearances – it’s generally a tough-as-nails beast to fight. 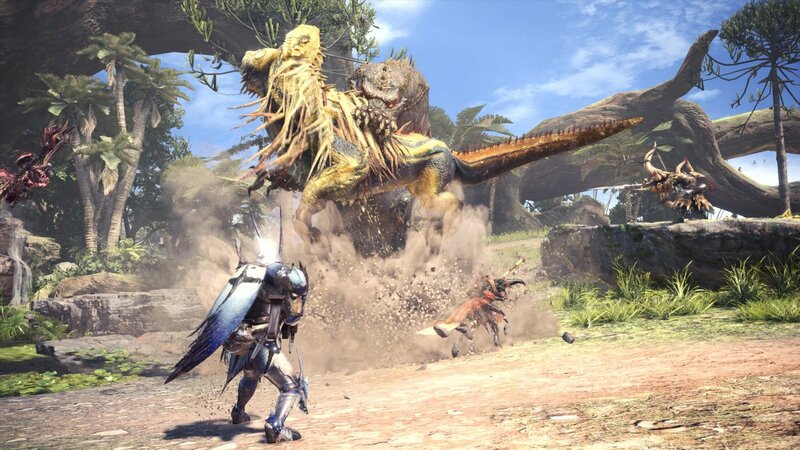 Capcom themselves have mentioned that Deviljho won’t be a pushover, and will drop items that’re useful even for players that’ve completed the game. In Monster Hunter 4 Ultimate, Deviljho’s special move was a wide-ranging breath attack that dealt damage with the Dragon element – similar to Anjanath’s fire breath, but in a much larger cone. Despite doing dragon elemental damage, Deviljho’s main weakness was Dragon damage, followed by Thunder. It’ll be interesting to see if these weaknesses carry over, since the apex predator of the Ancient Forest, Rathalos, is weak to these elements too. That would mean you wouldn’t have to change equipment if you were trying to hunt them at the same time, and make for some fun Investigations where you have to take down them both. 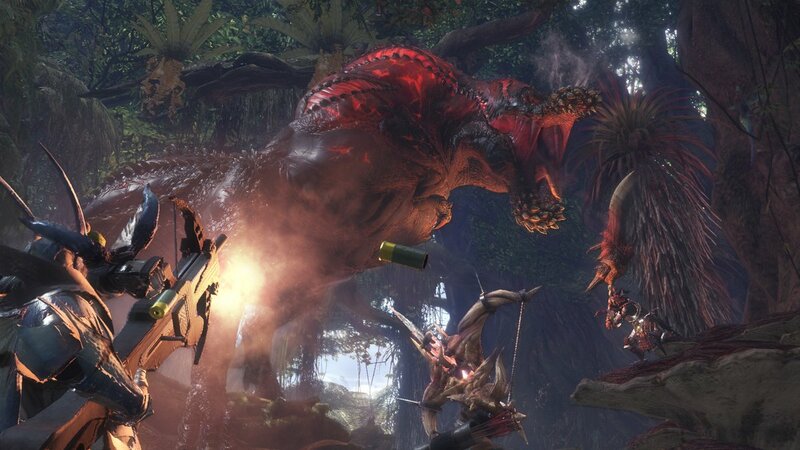 When hunting Deviljho, be sure to bring a Dragon elemental weapon from something like the Dragonbone Tree if you’re lower powered or the Xeno’jiiva tree if you’re further along in the game. If you’re going in solo, Charge Blades offer incredible offensive power as well as great defence because of their Guard points. If you’re in a team though, it could be a good idea to hang back with a bow while other members of your party take the aggro. We’re updating our list of every large monster in Monster Hunter World as more DLC is announced, so take a look for more info on drops and weaknesses. What does Deviljho look like?